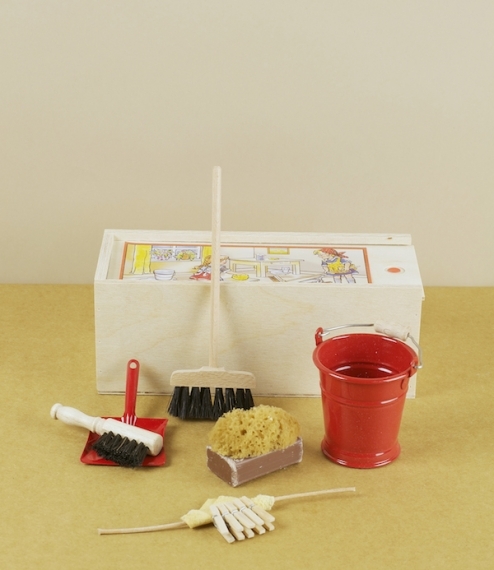 A miniature or doll's sweeping and cleaning set contained in a neat wooden case. 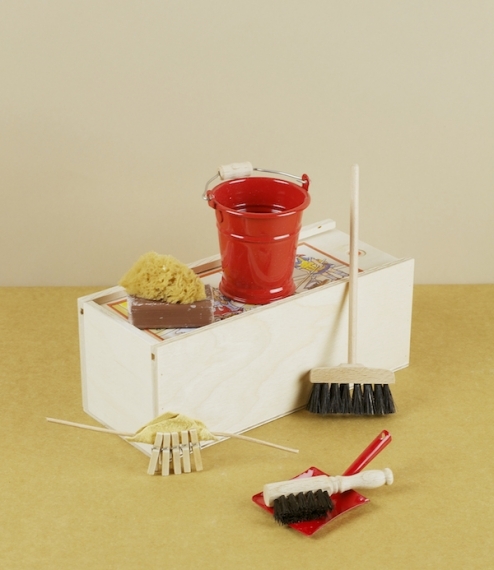 Includes a naturally bristled floor broom, red lacquered bucket, pegs, metal dustpan, wood and bristle hand-brush, soap, natural sponge, and chamois leather. 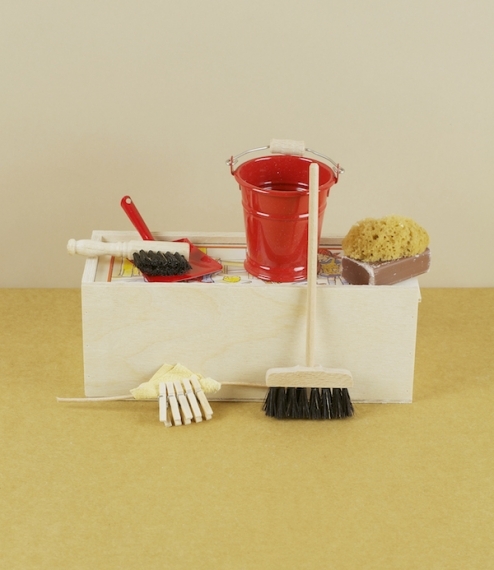 The case measures approximately 19cm by 8cm by 7cm. From the Redecker company of Versmold, Germany.